There were just a few women artists during the period of Impressionism, and one of the leading ones was Mary Cassatt, an American painter who was born in Allegheny City, Pennsylvania on May 22, 1844 but chose to make Paris her lifetime residence.Her parents were wealthy and it reflected on her upbringing, showing the high social standing of her family. Her education prepared her to be a good wife and mother and she was made to take classes in painting, sketching, music, embroidery and homemaking. Her parents took her and her siblings to live for several years in Europe. While women in those days were not exactly permitted to have a career, Mary Cassatt was able to enroll at the Pennsylvania Academy of the Fine Arts in Philadelphia when she was 16 years old. However, she soon found out that her fellow male students and her male teachers were quite resentful and patronizing of her attendance at the academy. She also became very frustrated about the few course offerings and the slow pace of the curriculum that she decided to quit school and continued her studies in Europe on her own instead. Although her parents strongly opposed her decision, she went to Paris in 1866 and arranged for private lessons in the Louvre, copying and studying the works of the old masters. She painted for two years in obscurity. But that all changed when one of the portraits she did was selected at the Paris Salon. Due to her father’s objection to a career in art, she used the name Mary Stevenson when she submitted and exhibited her work. 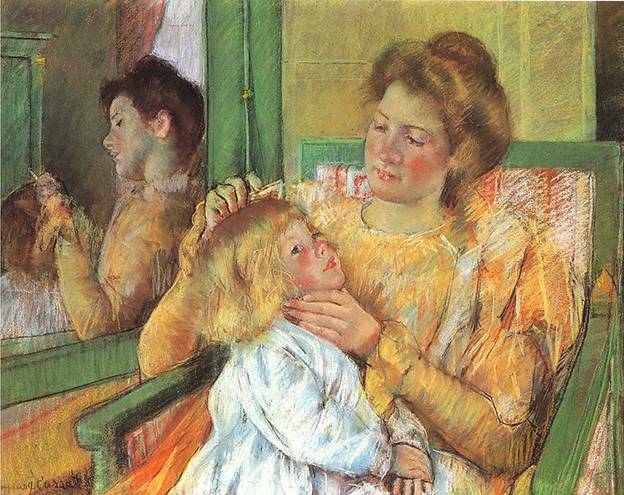 Mary Cassatt had to return home in 1870 due to the Franco-Prussian War. The artistic freedom that she had in Paris was suddenly curtailed when she went back to her home town. Her father refused to support her financially if she wanted to pursue an art career. Likewise it was difficult to find the art supplies that she could readily buy in Paris. She was not able to raise funds because she failed to sell her paintings in New York. In 1871 she was arranging to sell her work through a Chicago art dealer but her paintings were destroyed in a fire. While suffering through many setbacks the archbishop of Pittsburgh contacted her. The archbishop was looking for an artist to make copies of two of the works of Correggio, an Italian Renaissance master. It was the chance Cassatt was waiting for and she accepted the commission and left for Parma, Italy to view the original paintings. The fees she earned from the commission allowed Cassatt to go back to Paris and resume her budding career. She was able to exhibit in the Paris Salon in 1872 to 1874, which led to the solid establishment of her career. Like most artists, she also traveled and painted while touring Rome, Belgium and Spain. Mary Cassatt also decided to settle in Paris permanently. Mary Cassatt grew tired of the strict guidelines of the Salon, which she found inflexible. She decided not to be concerned about what was commercial or fashionable and started to experiment with different techniques. She started using bright colors. Her subjects were depicted with an accuracy that bordered on unflattering. Her confidence was buoyed by her friend, Edgar Degas, and she drew inspiration from his pastels to pursue a new direction in her art. Her friendship with Degas grew stronger and in 1879 she exhibited 11 paintings with the other French Impressionist artists. The exhibition was a huge critical and commercial hit that they again had exhibitions in 1880 and 1881. While most of the Impressionist painters were doing landscapes, Mary Cassatt concentrated on portraits, especially women in domestic settings, with particular attention to mothers and their children. Her approach to painting them was different and unconventional, showing an honest and direct nature. 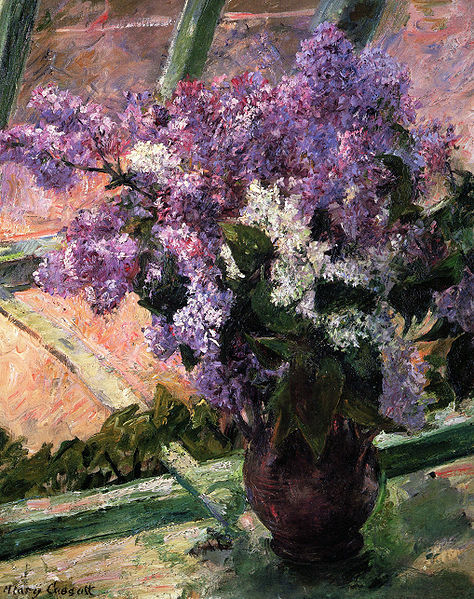 She may have stopped identifying with any particular art movement but she began to take interest in young artists in the U.S. She supported her fellow Impressionist artists and encouraged affluent Americans to purchase their work. She advised many major art collectors but stipulated that the paintings they bought would later be donated to the art museums in America.